Riding tights with a silicone-grip seat make a perfect match. The silicone gives these pull on breeches a great grip in the saddle. Added UV 50+ protection on the polyamide fabric makes these breeches a practical summer choice. The crystal branding adds special sparkle and the lightweight, mid-rise style will make these an instant favorite. 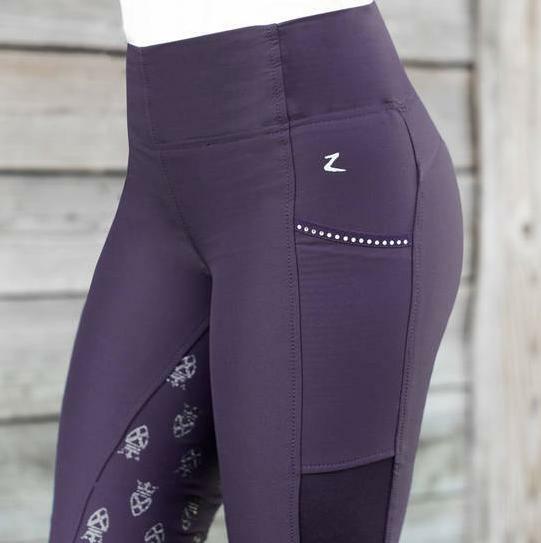 These special breeches with Lycra are incredibly breathable and quick-drying for day-long comfortm and include a silky soft inside lining. If you're in between 2 sizes, we recommend taking the larger size. Inseam length: 70 cm.